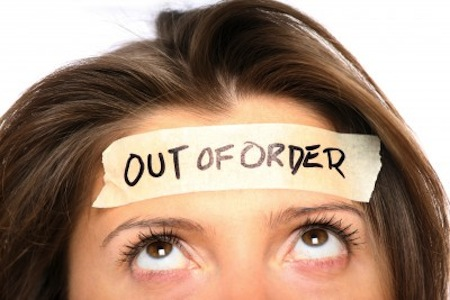 Is it me or is there a “Feeling Burned Out” epidemic sweeping the nation? Every day I hear at least 3 people tell me that their exhausted, burned out or just plain tired of something. I know I’ve felt this way. There have been time when I literally felt like I was being pulled in a million different directions. I was constantly on edge, probably not a pleasure to be around, and extremely tired. I’ve even considered putting my blog on hold, more than once. Thankfully, I was able to get through these feelings and I was able to figure out what the root of the problem was. I was doing (way) too much. Doing too much is the quickest way to start feeling burned out. As a blogger there are so many amazing opportunities that come your way, but do you have to take advantage every opprotunity? You may feel that in order to “get ahead” as a blogger it’s neccessary to jump at every opportunity. Even if you’re not a blogger, you’ve probably felt this way at some point. Well, I’m here to tell you that there is power in saying no. Granted, I don’t have hundreds of brands clamoring to work with me (yet), but there are still opportunities that I’m presented with on a semi-regular basis. I’ve learned that saying no doesn’t make me a bad person. Saying no (to an opportunity) isn’t going to hold me back from what God already has planned for me. I may reach my goal later than I expected, but what God has for me is going to be for me. Period. Same goes for you. As a blogger, I suggest saying yes to the opportunities that match your brand and vision. Eliminate the opportunities that don’t speak to you, even if you see that other bloggers are doing it. If it’s not your wheelhouse, keep it moving. And truth be told, if you say no to something that could have propelled you, (and your blogging career) it’s going to come back around. Maybe not the same way as it was presented before, but it will come back. Like I said earlier, what God has for you is for you. So tell me, are you feeling burned out or have you felt this way before? Do you believe there is power in saying no? Let me know! As always, thanks for reading and commenting. Your feedback, emails and comments have really kept me going on days when I was feeling burned out. Until tomorrow, be blessed and stay safe…xo! This is is on point! A few years ago I launched my photogrphy business (as a side job on top of having a career and a family). In the beginning I accepted all photography jobs whether it was something I wanted to or cared about. This was stretching me really thin. Until, one day I simply said NO to a job that wasn’t even something in my portfolio. It felt great and it allowed me to reassess exactly what I wanted to do with my photography skills. I then focused only on my niche and accepted jobs only in that niche. It cleared up so much drama and that overwhelming feeling you get when there is way too much on your plate. Thanks for sharing your thoughts on this. Thanks for reading, Ayana! I’m glad you were able to focus on what YOU wanted – awesome! Great post Nic! Saying NO to your needs is not an option but Yes to others can deter you from elevating your life, and we have to know when to press the brakes. All of this comes with maturity and we all get better with experience. Thanks, Neti! You’re absolutely right about this coming with maturity. I definitely agree! I totally get this post. I don’t feel “out of order” or like I’ve been saying yes to too many things, but I have felt like I needed a bit of a break (which is why I’ve disabled some commenting on my blog). 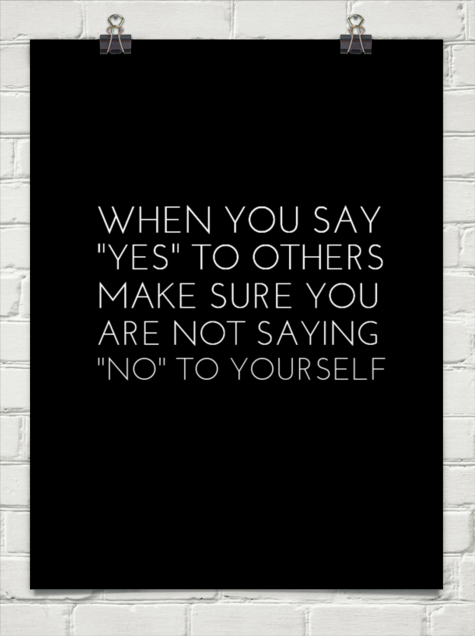 It’s important to say no and to do what’s right for you–so great post! I notice that you did that with your comments and right away, I understood. Sometimes a break is necessary. Thanks so much for reading…xo! What a great post! So many people are feeling this way. I’ve been feeling out of order too, but I think I’m just unhappy that my consultant biz has seriously slowed down. I’ve gotten start enjoying this time off and hopefully figure out how to make something happen. there’s definitely power in saying no and i’m good at it! This is right on point as year’s ago, I had to face reality that I cannot and will not be everything to everybody as people will see the gift in you and ‘put’ you in positions that they need you in and feel you will be great at. I had to begin to say no as I realized that being busy is not productive. In fact, I had to blog about that! If I need a nap, I stop and take a nap as I realize like you said that God has our lives in His hands and has the master plan. Yulunda G. recently posted…It’s okay to breathe today!